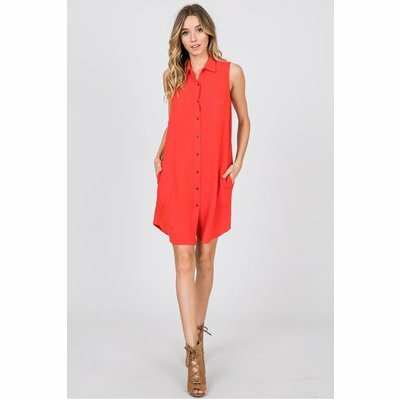 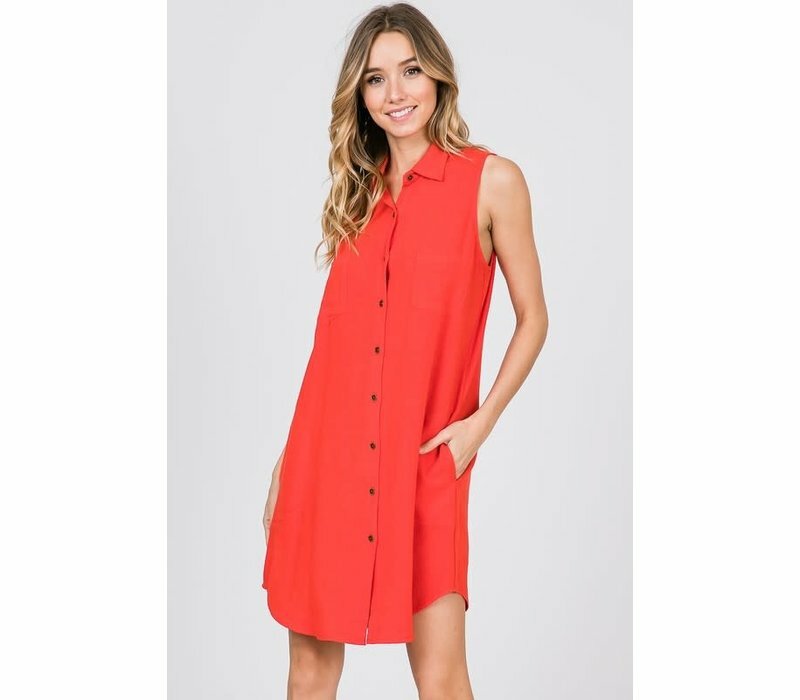 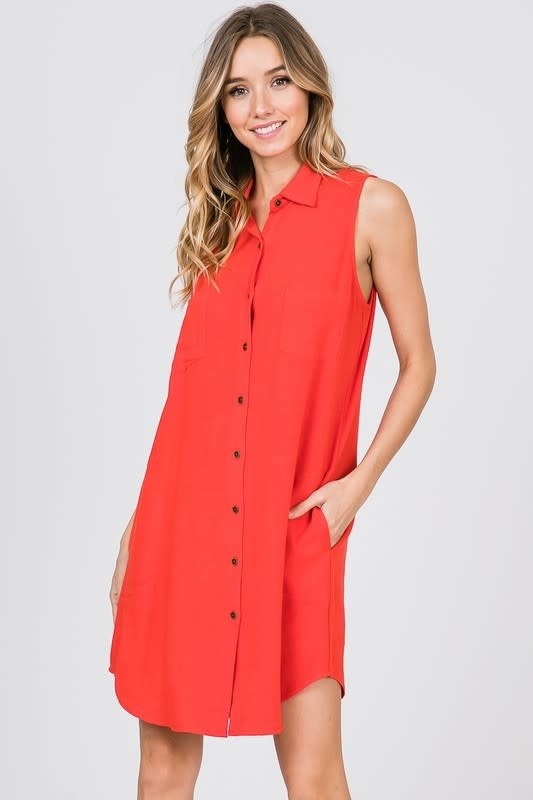 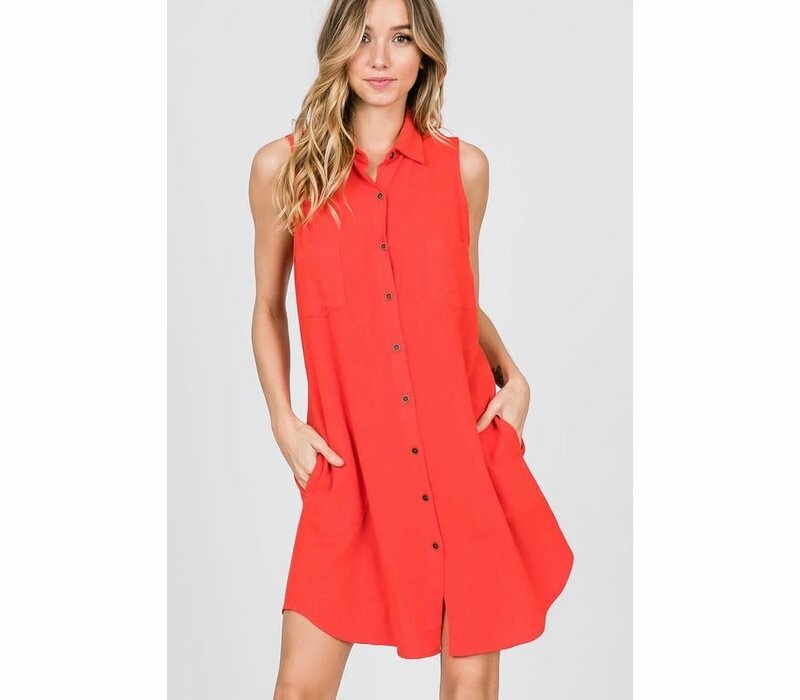 We love a good button down shirt dress... especially when it's in the prettiest shade of orange-red. 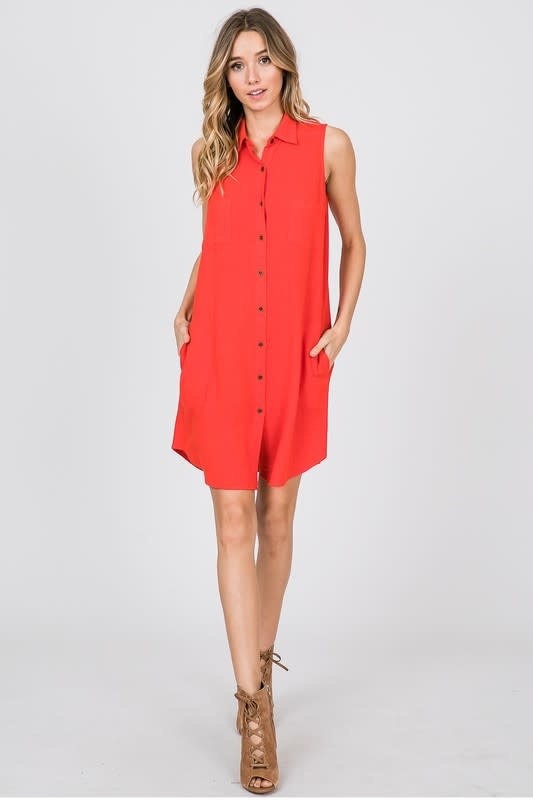 Dress also has pockets. 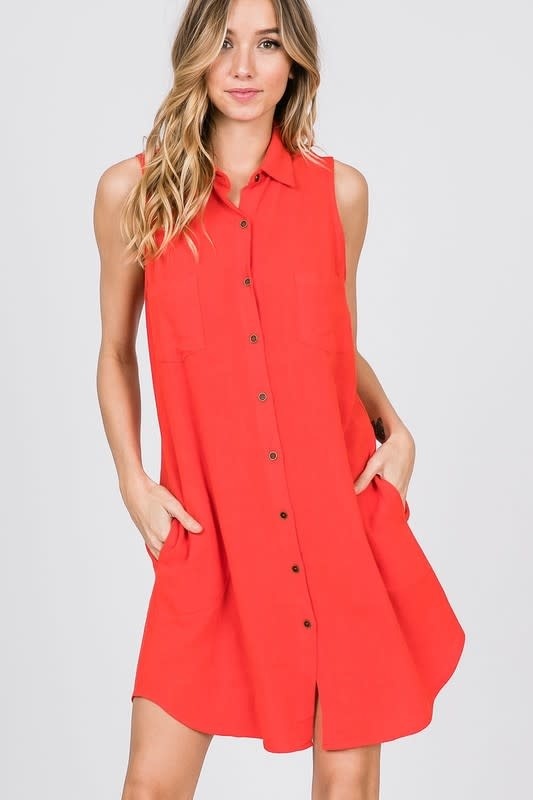 So cute for spring & summer.